A transformative leader, George has spearheaded initiatives that have enabled businesses and global enterprises to address complex technology problems, deliver new business benefits, and drive millions of dollars in savings and productivity gains. Throughout his career, George has delivered innovations of his own such as a knowledge base for a neural network-based predictive performance management solution, one of the earliest private clouds (2005), and a lightweight event management agent. George led the design workshops that drove the creation of an innovative accelerator program for a multi-billion dollar technology company, and created and deployed its foundation artifacts and ceremonies. George began his technical career as a systems programmer/sysadmin and systems engineer. He has held many national and global leadership positions, and has led global teams spanning North America, Europe, Asia, and Australia. As VP of Strategy for a multi-billion dollar technology company he was responsible for global scientific research, worldwide innovation initiatives, and the ongoing evolution of the accelerator program. 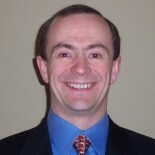 George is co-author of “The Innovative CIO” and “Lean Entrepreneurship”, and tweets as @GeorgeDWatt.